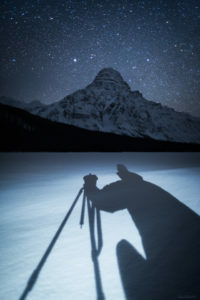 Join me for a photo tour at Sunrise, for a half day adventure, or for a full day in Banff National Park, Yoho National Park, Kootenay National Park, Jasper National Park, Kananaskis, or in my hometown area of Banff/Canmore at any time of the year! These sessions will involve you learning as much as we can possibly fit into our time together. I’ll always be working with you and your camera gear so that you will walk away a better photographer, and inspired for your future photography shoots as you will have taken another step forward technically and creatively. – How to use filters to best effect – why and when to use them. – Compositional techniques that you can use to create balance, tension and flow in your images. – How to handle high dynamic range scenes, and preventing flare. – The qualities of natural light, how it affects color, and what to look for. – Working on the tripod as well as off it, and when and how best to do so in both scenarios. – Understanding depth of field and how to maximize it. 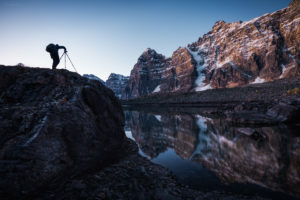 – Better understanding of your own camera gear and recommendations for making it more user friendly for the type of shooting you do. – Getting creative, having fun and so much more!